As a Mutual Fund investor what should you opt for? 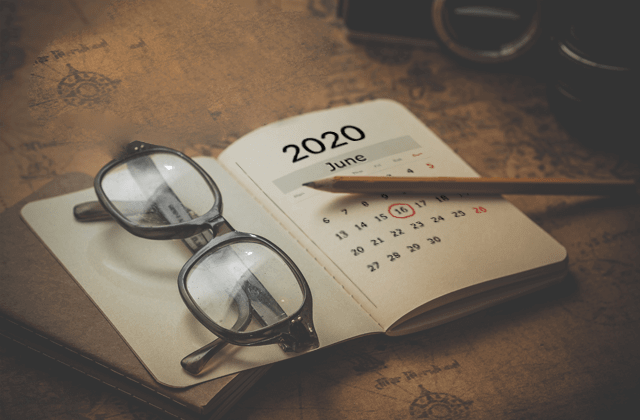 Growth plan, dividend payout or dividend reinvestment option? 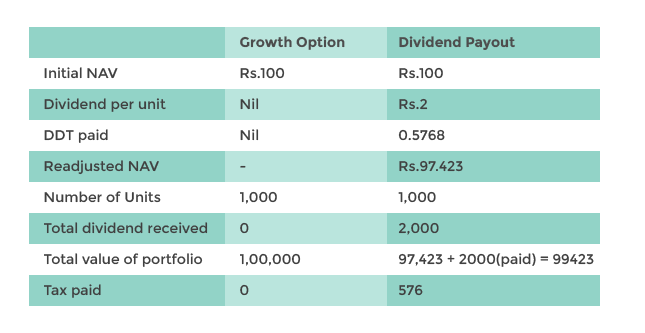 At the time of Mutual Fund investment, many investors are often faced by the dilemma of deciding which is the best option for them – growth plan or dividend payout option. This is a very important choice since it can impact the returns that you earn. When the Mutual funds make profit they pass on the gains to their investors in the form of dividend. Growth Option (G): When you choose the growth option, the fund/scheme does not declare dividends. Instead, they ploughs the profits back into the scheme and uses it to make new investments. This increases the AUM and the NAV of the units of the grow over time. This way over a long term your investment can benefit from the power of compounding. The growth option works the same way in equity as well as debt funds. Dividend option: As mentioned earlier, when you choose Dividend option, a part of the profits is paid as dividend to its investors by the Mutual Fund. In equity funds, the dividends received are tax exempt. Although the dividend received from a debt fund are tax exempt at the hands of the investor, the mutual fund schemes have to pay Dividend Distribution Tax (DDT) of 28.84% to the government as TDS. Now this DDT and the dividend paid out are deducted from the NAV thus bringing its value down. Every time dividend is paid the NAV is readjusted. For this reason the NAV of the same fund will be different for growth and dividend option. Assume you invested Rs 1Lakh and bought 1000 units of a scheme at a NAV of Rs 100 and a dividend of Rs2 per unit was declared. Let’s see the impact of both the options. As seen above, the profits of both the option are similar but you end up paying tax when you choose to take dividends. Dividend option provides income but doesn’t help much in growing wealth. You thus lose out on the compounding of returns. The dividends payouts are also not regular. It can be months before it gets declared and the amount also varies. Dividend reinvestment option: Under dividend payout you have another option called dividend reinvestment option. Here the fund readjusts the NAV after declaring a dividend just like in the dividend payout option. But instead of paying it to you, the dividend earned is reinvested on your behalf. You are allotted more units at the new reduced NAV. Basically you are buying more units. Let’s see the impact of reinvestment on the value of your investment. We will take it forward from our previous example. Now even though the number of units go up in the reinvestment option the total value of the investment goes down. This is because of the DDT paid. As you can see there is no merit in taking a dividend only to reinvest it again. 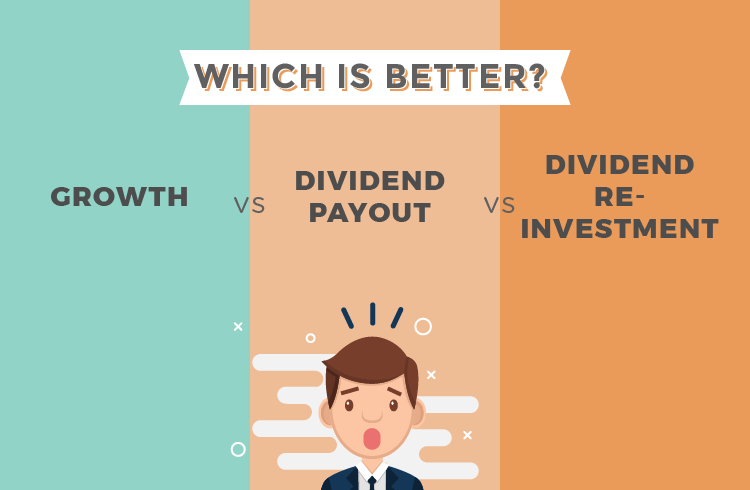 Dividend reinvestment is the least advantageous option as you dont even get the benefit of earning an income and your future growth/returns are also lower. Who should go for Growth option in a Debt Mutual Fund? If you don’t need any income from your investments. You are in 5-20% tax bracket. DDT at 28.84% is higher than your tax slab, that means you will end up paying higher taxes if you opt for the dividend payout or reinvestment options. Your objective is growth for your investment. This can be achieved only when you don’t take out the profits you earn, only then your money benefits from the power of compounding. Dividend payout: This should be an option only when you need a income from your investment. Retirees usually go for this option. But there is still a better option called Systematic Withdrawal Plan SWP which works great in most cases. SWP generates a more tax efficient and regular income compared to Dividends. We will discuss that in details in our next articles. Conclusion, Dividend as a source of income is neither consistent nor regular. So it will be better to go with the growth option and then opt for SWP. And it would be best to avoid Dividend reinvestment option in all cases. Professional such as designers, artists, TV personalities, contractors, Free lance writers and IT professionals, consultants and commissioned sales person all have one thing in common-an irregular income . They all have some good months or weeks when there is a lot of work or sales are high. Then there are other times when sales are low and work is marginal. Financial Planning is critically important for these professionals since their expenses and savings have to be planned around their irregular income. Here are 5 easy and simple to follow steps that will ensure you don’t go broke during the dry spells. Looking for the best investment plan for your parents post retirement? Worried that your parents might not be making smart investment choices, here is how you can help them. You have been saving for retirement for quite a few years and now you are fast approaching your retirement age. With a few good years still left here are a few things that you can do to reduce your anxiety and stress and ensure you have a comfortable retirement. In case, you are a young individual and your parents are about to retire then this article will help you prepare them for their Retirement.